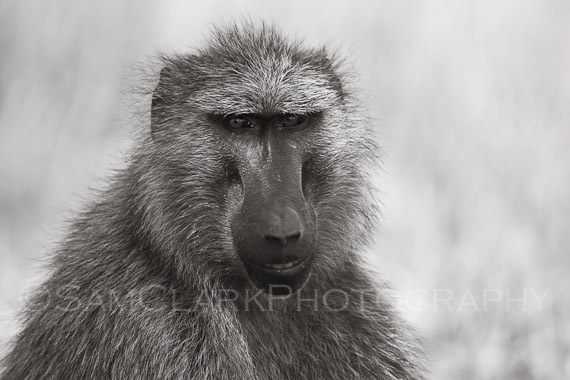 We had so much fun with the Baboons on my last trip to Uganda! We had just crossed the Nile River by barge. As we embarked and stood chatting, a Baboon jumped into one of the 4×4’s through a drivers open window and stole a pineapple. The African’s took chase to retrieve the fruit with plenty of squealing, shouting etc. It was so funny.. I couldn’t stop laughing! This image is of one looking for a food opportunity as we ate lunch, before our incredible Nile River cruise.